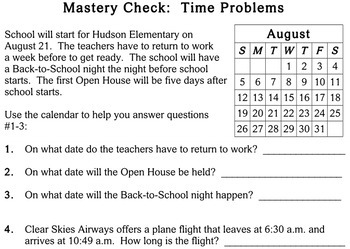 A set of 14 worksheets and a quiz on word problems about time (elapsed time, schedules, and calendars), designed for fourth grade level. 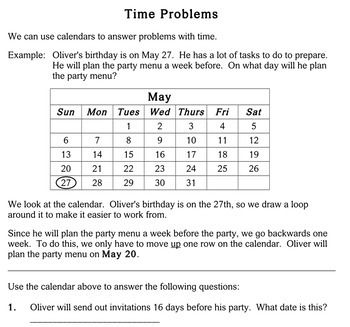 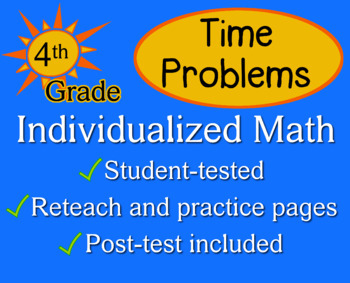 I created this to use with my tutoring students; most of them struggle with elapsed time word problems, creating schedules, and complex calendar questions. 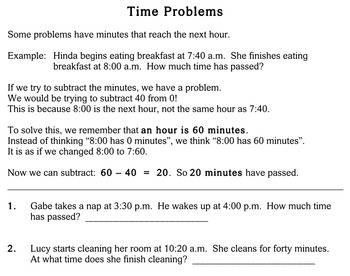 These worksheets really help them improve their skill with these concepts.